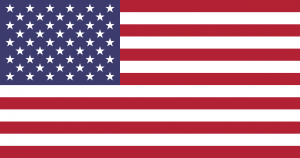 The Flag of the United States, affectionately referred to as ‘Old Glory’ by the Americans, must be one of the most well known and recognised flags on the planet. But it didn’t always exist in its current form, and its history is every bit as interesting as the story behind the formation of the “United States”. At many times during the evolution of the flag there were often numerous variants and types floating around so we should point out that the timeline below, for reasons of clarity, is a heavily summarised version of events. The first flag of the America’s could arguably be the one that was borne on the main mast of the Mayflower, the ship that carried 102 settlers, or Pilgrim Fathers, to form the first permanent colony in New England (1620) in what was later to be called Plymouth in Massachusetts. 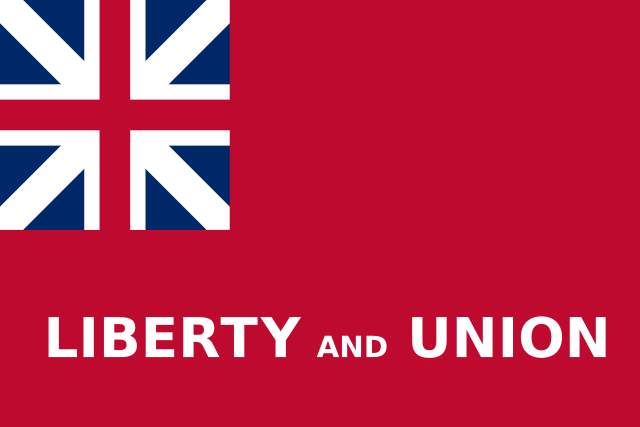 This flag would have been the Union Flag (consisting of the crosses of St George and St Andrew) and first used in Brita in 1606. It signified the Union of Scotland and Britain (when James VI of Scotland also became James I of England and Wales). 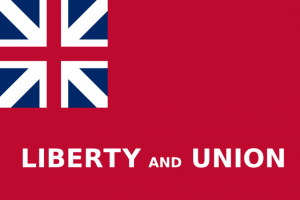 We need to jump over 150 years before a semi-official flag was next used. On October 21st 1774 the ‘Taunton Flag’ was first raised in Taunton Massachusetts, which was at this time a hotbed of rebellious fervour. By the time the Taunton Flag was raised, the town had sent lawyer Robert Treat Paine to the First Continental Congress representing Massachusetts. 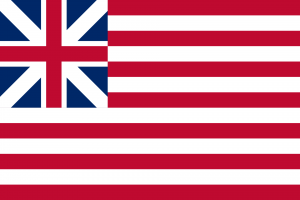 Accordingly The Grand Union Flag, also called the Cambridge Flag , Continental Colors, Congress Flag or First Navy Ensign was adopted on December 3, 1775. It was the first to start looking like the Flag we know today. 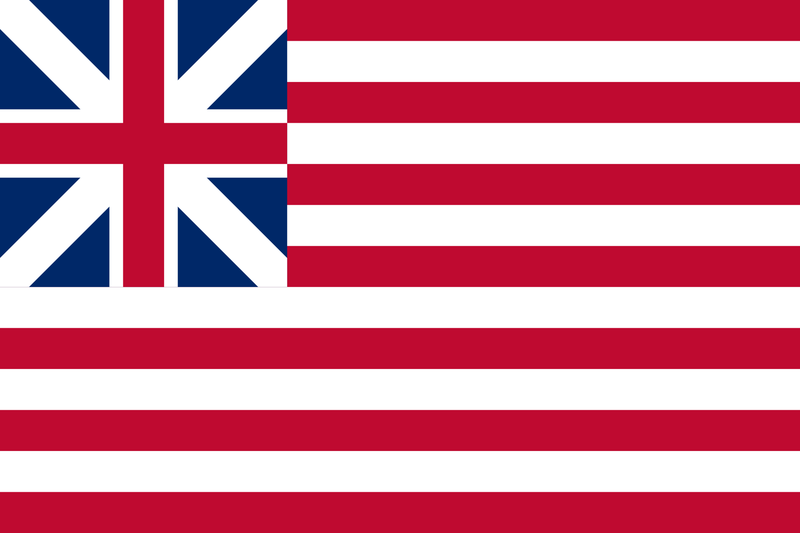 It consisted of thirteen horizontal stripes alternating red and white; with the British Union Flag in the canton. 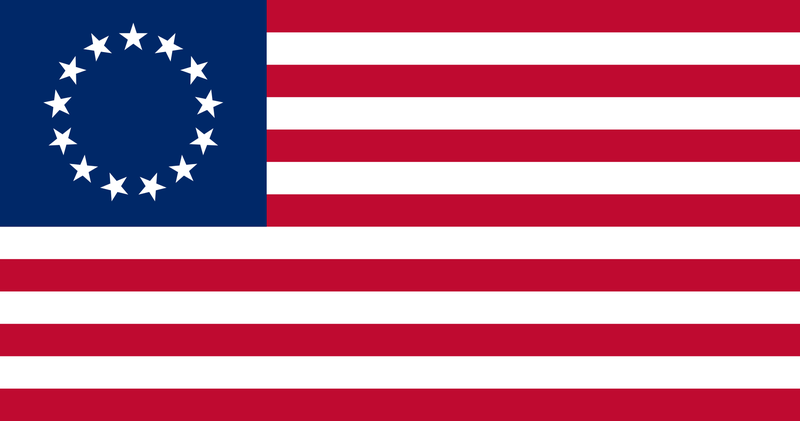 The Rhode Island Flag – 1776 Carried at Brandywine, Trenton and Yorktow by the Rhode Island Regiment. 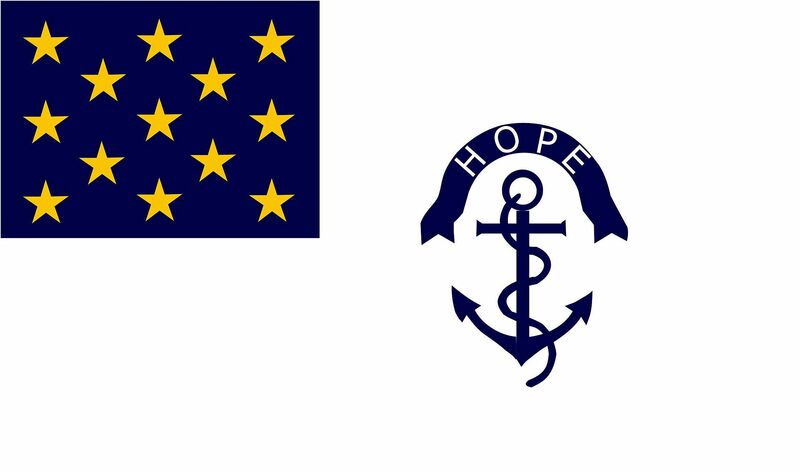 In Rhode Island the anchor had been used as a government symbol since 1647 and is carried on in the current state flag. 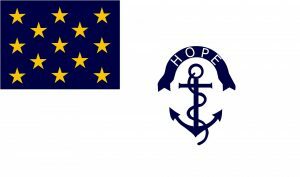 The anchor represents Rhode Island’s seafaring activities and the thirteen stars, the original thirteen colonies. The native Rhode Islanders were among the first to join the Minutemen outside Boston. The Rhode Island Regiments served at the Battles of Brandywine, Trenton and Yorktown. 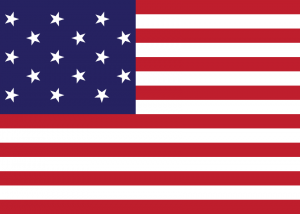 On June 14, 1777 the Continental Congress adopted a resolution for the first Stars and Stripes flag. 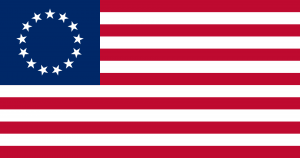 According to legend, Philadelphia seamstress Betsy Ross designed the new canton for the Stars and Stripes, which consisted of a circle of 13 stars and a blue background, at the request of General George Washington. Historians have been unable to conclusively prove or disprove this legend. May 1st, 1795 The ‘Star Spangled Banner’ became the official national flag of the United States and lasted from 1795 to 1818. 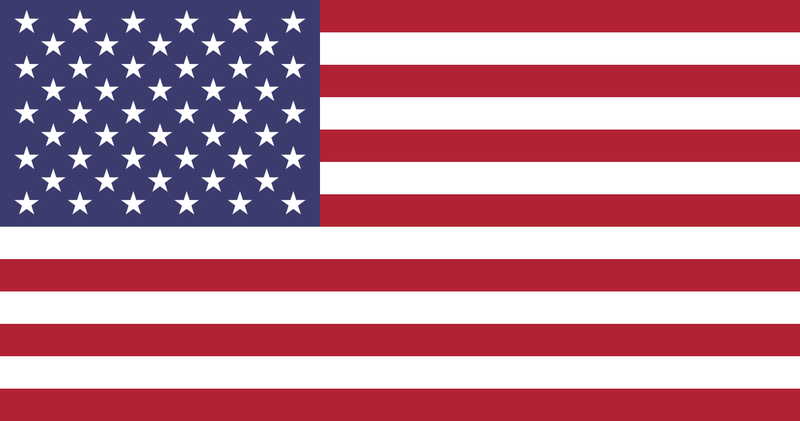 The designer of the 15-star flag added two stars and two stripes to represent the states of Vermont and Kentucky. The Star Spangled Banner would last for twenty-three years under the presidency of George Washington, John Adams, Thomas Jefferson, James Madison, and James Monroe. 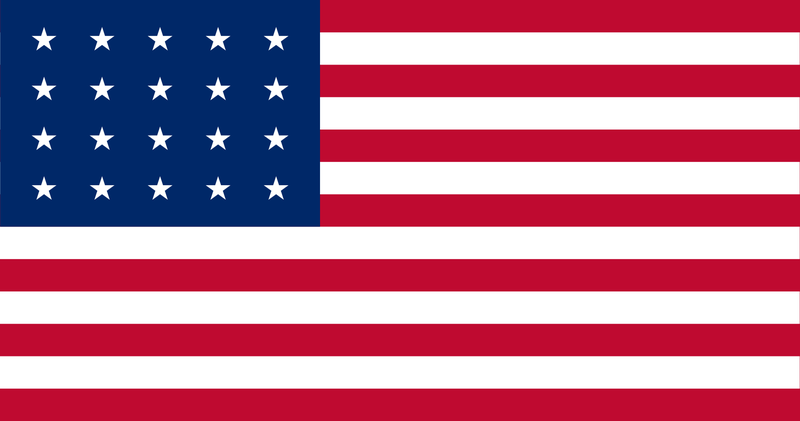 In 1818 Congress passed the Flag Act of 1818, which prompted the redesign of the Star Spangled Banner again. 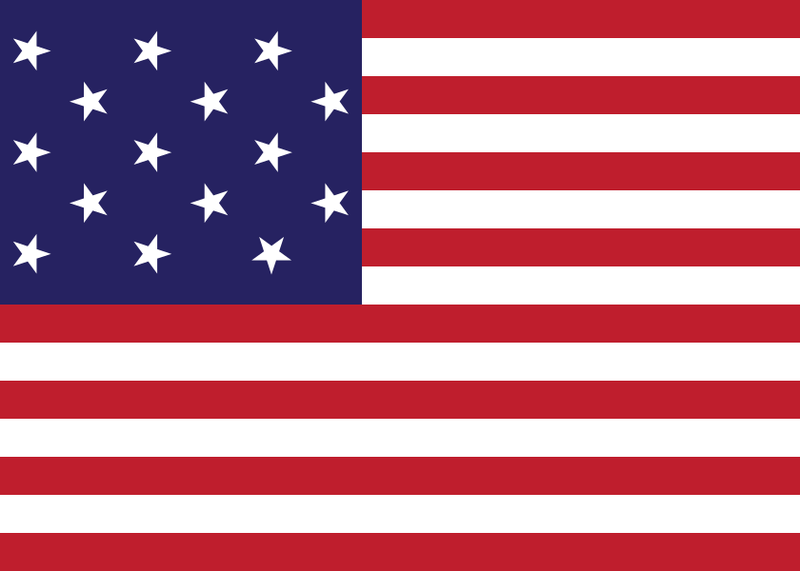 This flag returned to the original thirteen stripes , representing the first colony states, but added five more stars to represent twenty states. The additional five stars represented the state of Tennessee, Ohio, Louisiana, Indiana, and Mississippi. … and on to today : After 1818 the development followed a regular pattern where additional stars were added as new states joined the union. The 50th and last star was added to the flag on July 4th, 1960 to represent the state of Hawaii.